Find out more about our exclusive offers. We have a wonderful selection of food available throughout the day. Whether you want a snack or something more substantial we have a menu to suit all tastes. Whether you’re visiting Dublin for shopping, culture, sport or tourism, at Hotel 7 it’s all on your doorstep. 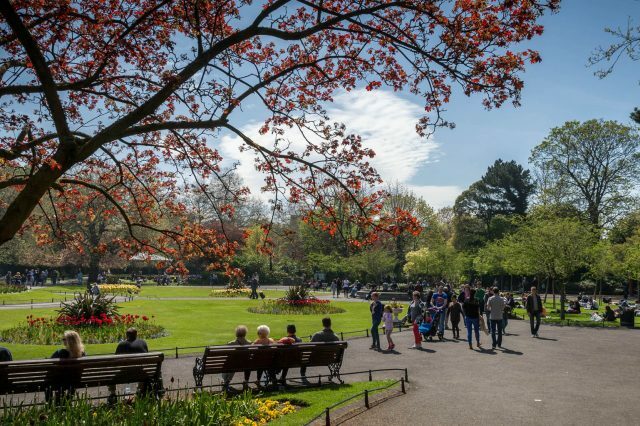 There are so many things to see and do all year round in Dublin, so make sure you stay at Hotel 7 for the perfect city break! People say 7 is a lucky number. 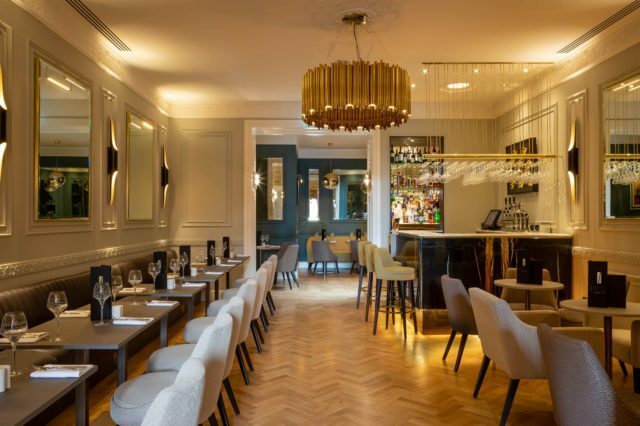 We can’t confirm that necessarily, but it does inspire us to make Hotel 7 Dublin feel like a lucky place for our guests. 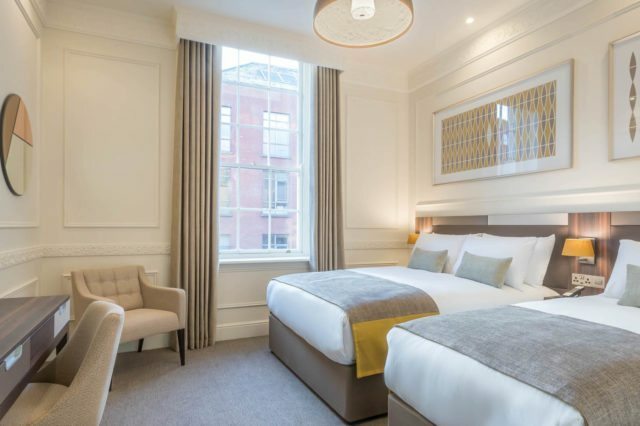 For starters, our 3-star hotel is right in the centre of Dublin City, making it the perfect base to explore all that the Capital has to offer. Whether you’re visiting Dublin for shopping, culture, sport or tourism, at Hotel 7 it’s all on your doorstep. At Hotel 7, we embrace today as well as yesterday. 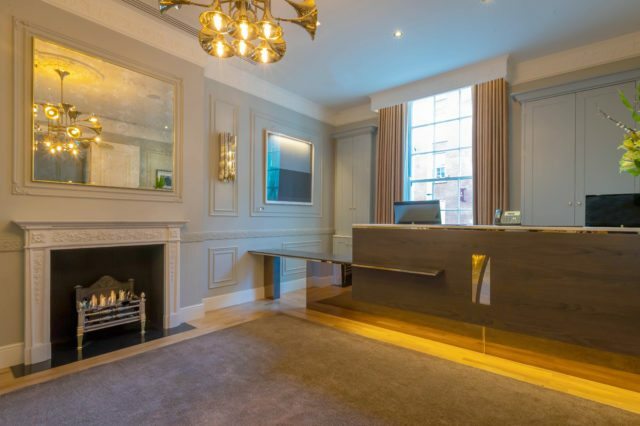 So, within the panelled walls, high ceilings and cornicing, you will relax in contemporary furniture and enjoy an eclectic mix of artwork on the walls and spectacular and unique lighting. This style carries through the hotel with warm and luxurious fabrics in earthy tones. Behind its traditional façade you will find a cool, modern hotel with a relaxed bar and restaurant and stylish contemporary rooms – an oasis of calm amid the bustle of the city.